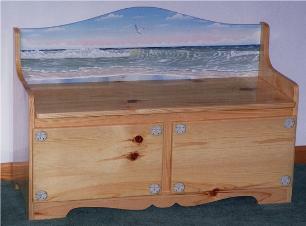 concealed hinges click here to see them. 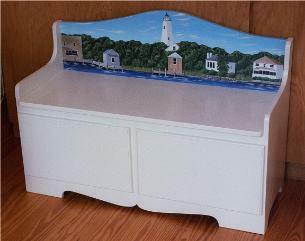 Gorgeous, panoramic seascape is painted on this handcrafted pine bench! 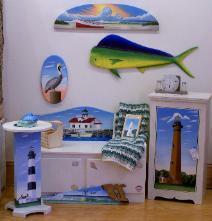 Ocracoke Village on the Outer Banks of North Carolina.